We need to distinguish between aloneness, loneliness and solitude. Aloneness is a state of being physically separated from other people. At times family, friends and other persons are missing from our presence, but just because we are alone does not necessarily mean we are lonely. We simply take these times in stride and recognize that life cannot always be filled with people. Actually, we can accomplish a lot when we are alone. We can spend time with God and deepen our fellowship with him. The psalmist David wrote: “For God alone my soul waits in silence; from him comes my salvation. He only is my rock and my salvation, my fortress; I shall not be greatly moved” (Psalm 62:1-2). 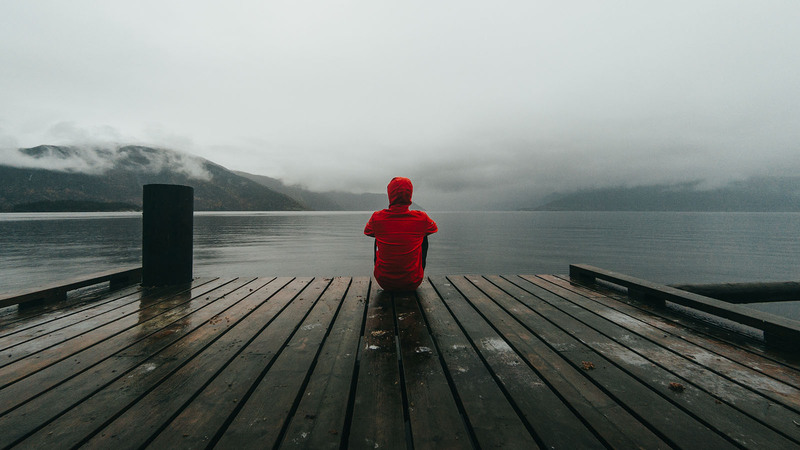 “Loneliness is the single experience most common to all of us, yet is also the most misunderstood” (Ira J. Tanner, Loneliness: The Fear of Love). Loneliness is universal; every person alive experiences it in some measure. Loneliness, you see, is not caused by our circumstances but is a state of mind. It is a feeling that no one and no thing is responsive to our deep hunger for support and love. And then we have solitude, the act of intentionally withdrawing from others for the purpose of being alone. This is the time when we can be refreshed spiritually and restored emotionally — a time of renewal and creativity. Jesus Himself needed these times of solitude with His heavenly Father. “And after he had dismissed the crowds, he went on the mountain by himself to pray. When evening came, he was there alone” (Matthew 14:23). The superficiality that characterizes the modern Christian is due largely to the lack of solitude. We rush here and there to concerts, rallies, Bible studies, crusades, retreats, conferences, and services of every description thinking we are “filling our cup” — all the while wondering why we feel so empty and, yes, lonely, even in the midst of a crowd of people. But Jesus said, “Come to me, all who labor … and I will give you rest” (Matthew 11:28). Nicky Cruz, internationally known evangelist and prolific author, turned to Jesus Christ from a life of violence and crime after meeting David Wilkerson in New York City in 1958. The story of his dramatic conversion was told first in The Cross and the Switchblade by David Wilkerson and then later in his own best-selling book Run, Baby, Run.